Bring floral beauty into your classroom with our sizeable Paper Flowers Pack. 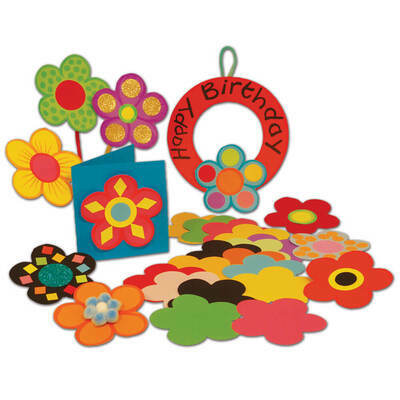 Provided in the sizeable and highly economic pack of 500, each of these durable flowers is suitable for both display and crafting. Use to create a magical woodland theme in your book corner or allow each child to decorate their own and add a new creative twist to your cloak room - the opportunities are endless. Brightly coloured to attract attention and suitable for collages or painting on, these versatile flowers can also be stored away easily for future use making them a sensible choice for the ever changing classroom.